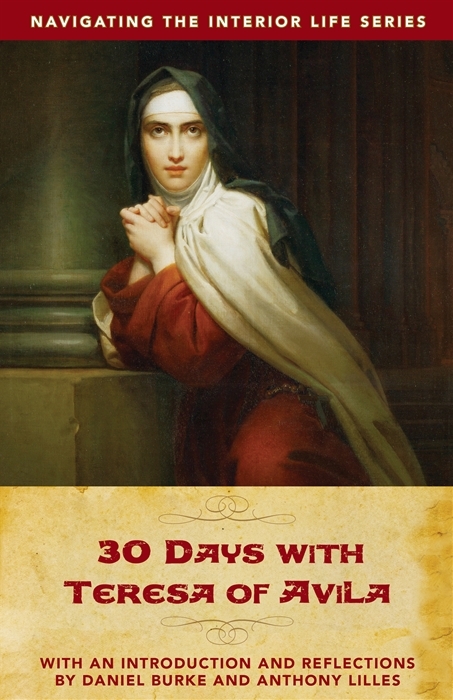 30 Days with Teresa of Avila, which includes the unedited letters of Teresa of Avila to her friends, offers a rare window into the saint’s warmth and practicality. Dan Burke and Anthony Lilles provide rich reflections to encourage a deeper and more prayerful reading of these fascinating letters. Enter into an intimate friendship with God alongside one of the greatest Doctors of the Church. Anthony Lilles is an author, theologian, and academic dean of St. John’s Seminary in Camarillo, CA and Juan Diego House for the Archdiocese of Los Angeles. His doctoral work was dedicated to the wisdom of the saints and mystics of the Church. Be the first to review “30 Days with Teresa of Avila” Click here to cancel reply.